Our solid experience in the community and the list of projects reinforce that we are a reliable partner in teaching, preserving and providing quality services in the name of the Montford Point Marine. Our goal is to conduct and manage activities throughout the year that create camaraderie, goodwill , and esprit de corps in harmony with our chapters and the Montford Point Marine legacy. Visit our Hall of Fame page as we honor those members who have contributed greatly to the mission of the Association. 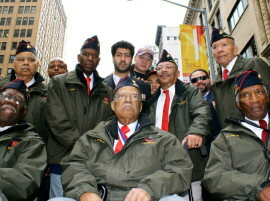 For assistance concerning VA benefits, visit our Veterans Services page. NMPMA, Inc. believes education fosters success. Through our chapters, we seek to assist high school graduates in their educational efforts by providing annual scholarship awards. 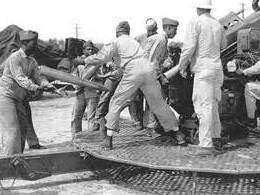 Our mission is to preserve and expand the the legacy of the Montford Point Marine. These Marines were awarded the Congressional Gold Medal in 2012. 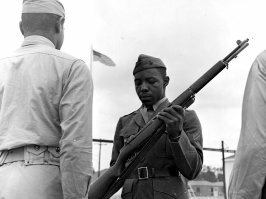 Today, a Memorial and Museum have been established to preserve their Marine Corps legacy.